Several nonprofits are joining together to celebrate our wonderful volunteers. Thank you to all our volunteers, we couldn’t do it without you! 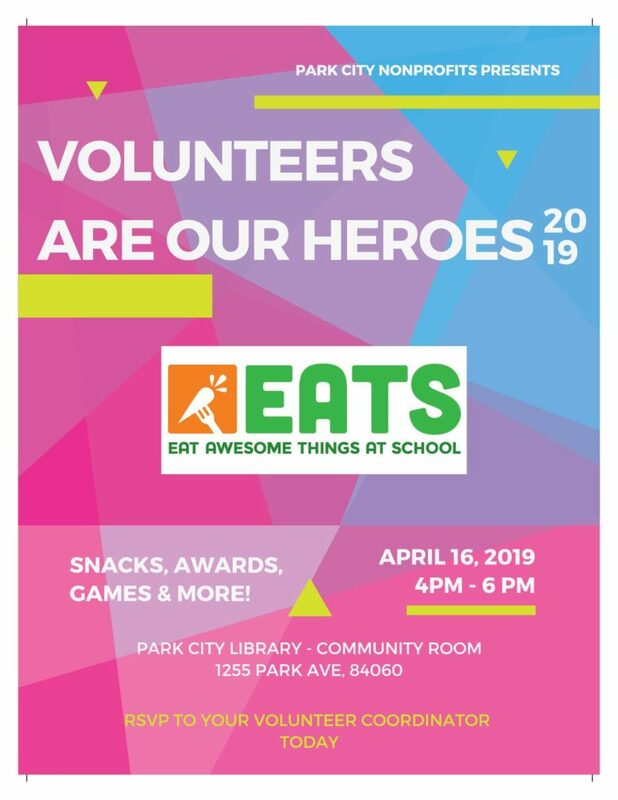 Please join us April 16th, from 4pm – 9pm at the Park City Library.